Michael Mikulewicz is a Research Fellow at the Centre for Climate Justice at Glasgow Caledonian University, Scotland. 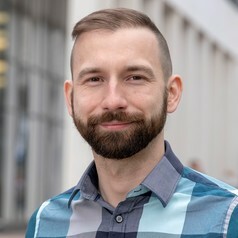 He uses human responses to climate change as the basis to study issues of inequality, exclusion and exploitation, with his research firmly embedded within critical social theory. Michael obtained his PhD in Human Geography from the University of Manchester, UK, with his thesis investigating the post-politics of adaptation to climate change in sub-Saharan Africa. Before that, he received an MA in Politics and International Relations from the University of Aberdeen, Scotland and an MSc in Environmental Studies from California State University, Fullerton.